Heading to New York on the train? Spending the day at the beach? Just looking to explore a different hobby? Visit the Friends Magazine Sale! Current issues of a wide variety of magazines, ranging from cooking to home decorating to science to celebrities, with a selection of children's titles as well, are available for sale for just $.50 a piece. 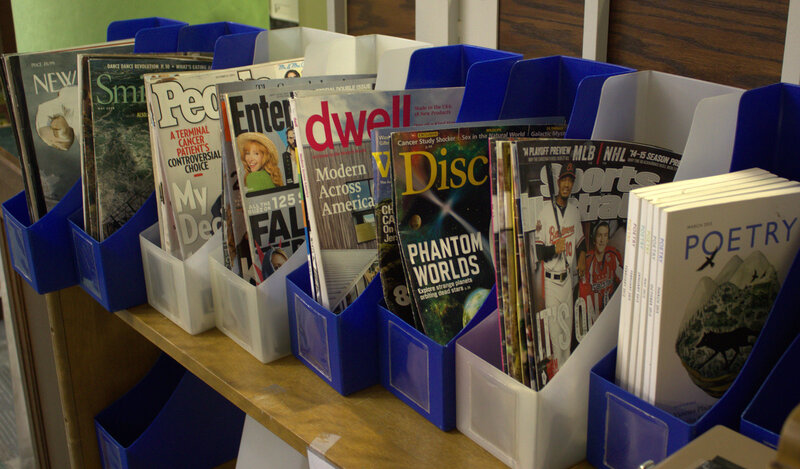 Browse the two racks of magazines at the base of the main stairway, pick out the issues that interest you, and drop your payment in the cash box on the rack. It's an easy way to support the Friends, expand your horizons, and keep magazines out of the local landfills. This program also puts expensive magazines in the hands of community members who might not otherwise be able to afford them. We welcome your magazine donations! Feel free to cut your address label off your magazines. Bring your donations to the library and arrange them on the two racks. It's a simple way to help the Friends, help your community, and help the environment! Stop by today.